Well I have the bit of paper that means I can ride my Gixxer on the road… yeah right. I had a fork seal go at Mallory on my shake down track day and being me and my world being quiet a busy place I had run out of time to sort it. Not to worry as the fellas at Spring Court in Rochdale sorted out the forks and MOT (a few of them race and are considerably better at it than I am). So I dropped the Gixxer off with it’s new number plate, horn and reflector in place and a pack of fork seals. A brief chat ensued about racing and Thruxton, the Manx and then I left them too it. 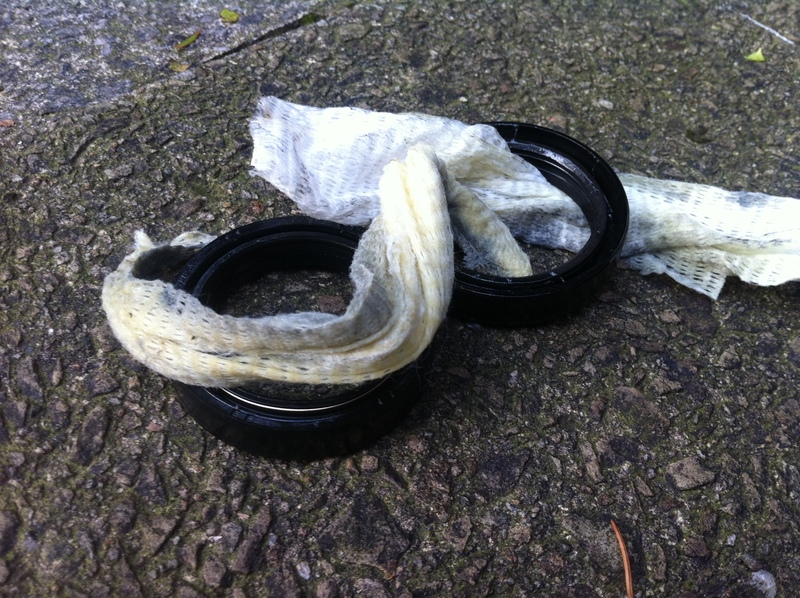 The rags had been put under the dust covers, an old trick for selling a bike with knackered seals. Not greatly impressed at that sort of shenanigans and I feel a good look round the rest of the bike will now happen. To be fair it might not have been the bloke that sold it to me who did such a botch fix as he’d only had the bike a short time and had put the brand new bits on which wouldn’t make sense to do and then skimp on fork seals. Anyhow. Bike on trailer and it’s still daylight… I could get used to this working from home lark.